Looking for professional tile cleaning in Friendswood, Tx? You can rely on Elite Green Team Chem-Dry to clean and renew the look of your stone or tile floors, countertops, showers, patios, and foyers. Our highly trained technicians use a specialized cleaning solution and heavy duty equipment to remove soil and dirt that has built up over the years, cleaning deep into the pores of your tile. Stop spending hours on your hands and knees trying to scrub away the dirt using traditional at home methods and let us professionally extract the grime using our unique process that will leave your tile, stone, and grout sparkling clean. Just as your carpets need an annual cleaning, your tile, stone, and grout should be cleaned every 12-18 months too. Not only does this help your home feel fresh and clean but ensures long-lasting protection to your flooring investment. Elite Green Team Chem-Dry takes pride in our work because we care most about your flooring. We have tailored our tile cleaning service for many varieties of tile and stone including Saltillo, ceramic, porcelain, slate, granite, and travertine. One worry many homeowners have is the products we use to clean your tile is unhealthier than the dirt and grime we are removing. Rather than simply cleaning the surface we use a non-toxic, green solution that penetrates deep into your tile and stone and lift the dirt to the surface. 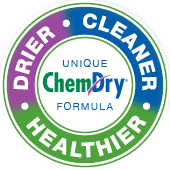 All of the ingredients in our primary cleaner are safe and approved for your home and family. Elite Green Team Chem-Dry knows that tile and grout surfaces need a powerful cleaning so we’ve worked hard to provide a solution that packs a punch without harming your flooring or your family. Elite Green Team Chem-Dry offers the driest tile cleaning service. Your tile and grout flooring can be cleaned and sealed on the same day, and freshly cleaned floors can tolerate light traffic in as little as four hours. Our tile cleaning service will help you be back in your home and on the daily grind in no-time. We work hard to ensure that our services cause the least amount of disruption to your busy schedule and home life while still getting the most effective clean. Yet another reason why Elite Green Team Chem-Dry is becoming the popular choice for tile and grout cleaning in Friendswood and the surrounding areas. We treat your home as if it were our own. 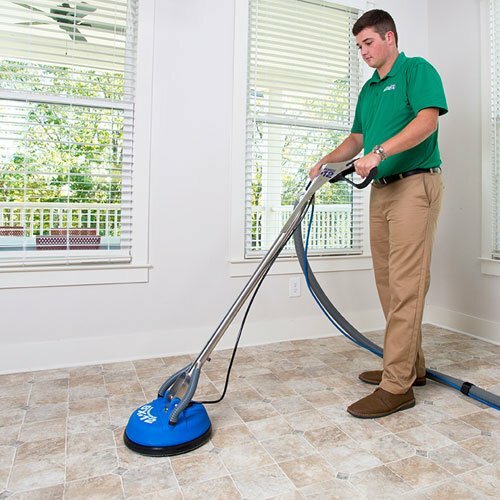 Our trained technicians are happy to explain the tile cleaning process with you and show you the products we use to keep your home safe and healthy. It’s not a secret that Elite Green Team Chem-Dry can clean your tile and grout quickly, safely, and professionally. As your local tile cleaner in Friendswood, let us help you keep your home healthy and happy! Be sure to take a peek at the current deals we are offering and read some amazing testimonials from our customers.